In her second novel, author Yvvette Edwards probes the depths of grief, loss and hope. 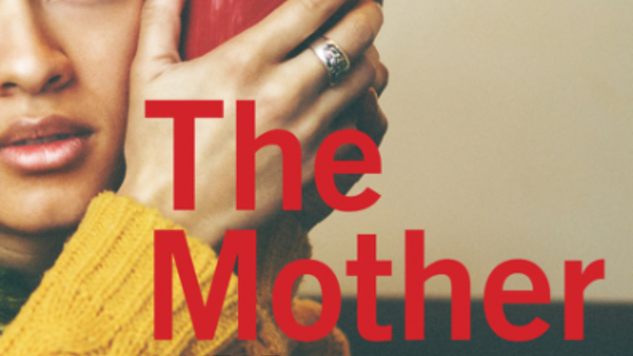 The Mother is a grounded work that explores not only the deeply personal experience of losing a child, but the larger societal context in which children fall through the cracks and grow up too fast. Nearly a year after losing Ryan, their 16-year-old son, parents Marcia and Lloydie Williams are bracing themselves for the beginning of the murderer’s trial. Tyson Manley, a troubled boy the same age as Ryan, has been charged with the crime, suspected of stabbing Ryan after learning they were involved with the same girl. While Marcia summons the strength to attend the trial from the very beginning, partly in hopes of gaining some closure from the proceedings, Lloydie completely withdraws, spending his time gardening and avoiding one-on-one time with his wife. But as the trial moves forward, the world outside the Williams’ front door comes into agonizing, terrifying focus. Marcia is a remarkable woman, and Edwards gives her plenty of space to work her way through a rollercoaster of emotions. Once a quintessential doting mother, Marcia’s loss of both her son and the intimacy of her marriage has left her in total isolation, despite a support network that includes her sister and a family liaison officer who has become a stoic, intuitive friend. She ricochets between crippling sadness and explosive rage, haunting guilt and a desperate desire to make sense of what happened to her son. Rather than being an emotional husk, Marcia feels more dynamic than any other character in the novel. But The Mother tackles more than the Williams’ grief. As the trial revolves around a black family living in London, biases rooted in racism steal the spotlight. Marcia and her sister watch as the predominantly white jury reacts to the saga of youthful arguments, competition and death that unfolds, hoping to predict how the jurors’ sympathies will sway with each new piece of evidence. Although confident that her son was a good person and that this truth will be immediately clear to the judge and jury, Marcia is aware that “being good” might not be enough. Will these strangers see just another black boy caught up in the wrong crowd, bearing some fraction of responsibility for his own death? Or will they see a good kid who was in the wrong place at the wrong time? Marcia went to great lengths to keep Ryan away from people like Tyson Manley. Tyson and his friends are the sort of teenagers who lack structure and supervision, skipping school, starting fights and living impossibly challenging lives with no help. Tyson himself is not a sympathetic character; he has a sociopathic edge that tempers the sense of his being a victim of neglect. But Sweetie Nelson, the girl with whom Tyson and Ryan were involved, highlights the differences between the two boys’ lives by straddling their worlds all too briefly. Sweetie and Ryan had broken up shortly before his death, a development that Marcia greeted with satisfaction. Sweetie wasn’t the kind of girl Marcia hoped her son would fall in love with; a year or so older than Ryan, Sweetie was deemed a negative influence on Marcia’s smart, ambitious son. But when Sweetie takes the stand to give evidence, Marcia learns the truth. Sweetie’s mother has been in and out of both jail and rehab her entire life, leaving Sweetie to navigate a hostile world on her own. As Marcia learns more about Sweetie’s life, an existence in which the young girl is simultaneously isolated and yet tightly controlled by Tyson and his friends; the very things that once made Marcia concerned about Sweetie’s influence on Ryan become signs of her strength. Ryan, for Sweetie, was a bright spot in an otherwise dark world, and Marcia has to grapple with the guilt of having done everything she could to make sure Sweetie was not included in her son’s life. Through Sweetie, Marcia and Lloydie are exposed to society’s underbelly. Having long seen Sweetie and others like her as a threat to their son, the Williams ultimately are confronted with the victimization that comes with neglect. But Ryan’s death stands as a reminder that no number of barriers can fully separate their world from that of Ryan’s peers whom they feared for so long. The only weak spot in this otherwise gripping novel is that Edwards shies away from digging too deeply where Sweetie is concerned. Much is implied, yet little is explored in the way that Marcia’s own pain and struggle is highlighted. It seems like a missed opportunity to create a truly fleshed out portrait of class and race in modern, urban communities and the impact they have on youth. But even taking this into account, The Mother is a powerful work that illuminates the web of ramifications spun from a personal tragedy.